Lightning: D-Day! was the first game of the “Lightning Series” by designer Dan Verssen, a game series consisting of five very small and fast card games. Other games in the series are Lightning: Midway, Lightning: North Africa, Lightning: Poland, and the contemporary Lightning: War on Terror. We own the game for several years now and we also had a small review on our old HFC website, but we recently “rediscovered” it and decided that this game is cool and needs a new review in our ambitious Operation Review Reset. The Lightning games are famous for their speedy gameplay, very short rules (1 sheet of paper! ), and low setup time. They can be played within 30 minutes, but they still offer a strategical challenge and are a tough nut to crack. Lightning D-Day isn’t an exception from this rule; the Allied player fights against a brutal time limit while the German player tries to slow him down and to make his advance as costly as possible. As the name suggests, Lightning: D-Day! deals with the Allied Normandy invasion on June 6th, 1944. 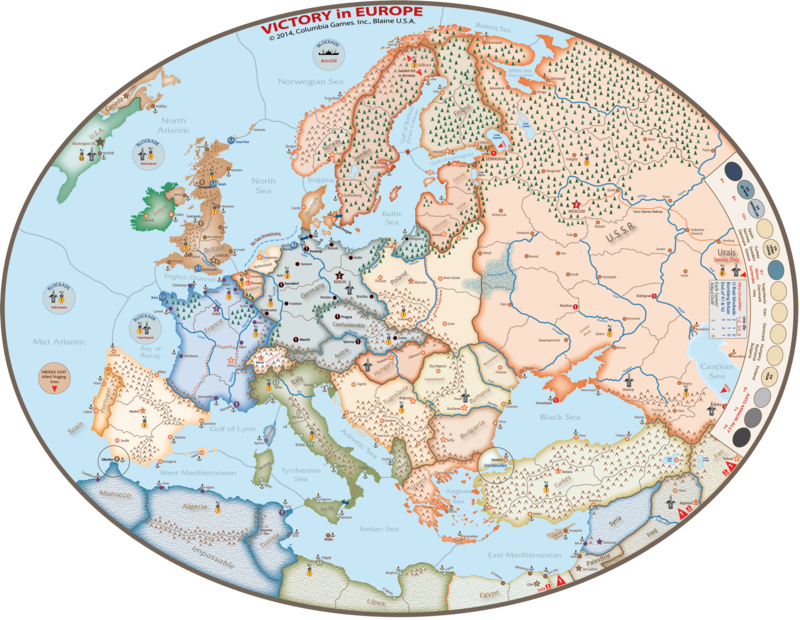 One player controls the Allied forces (US, British, and Canadian units), the other player controls the German forces. There is no game board; the play area is defined by five beach cards which represent the historical landing areas (named Sword, Juno, Gold, Omaha, and Utah beach by the Allies). Both players control a fixed number of units or Forces per beach (3-4) which represent the historical units from both sides, for example the Canadian 3rd Inf., the British 7th Armored, or the US I Corps on the Allied side or the 21st Panzer, 352nd Infantry on the German side. In addition, both players have draw decks of Action cards which heavily influence the combat. 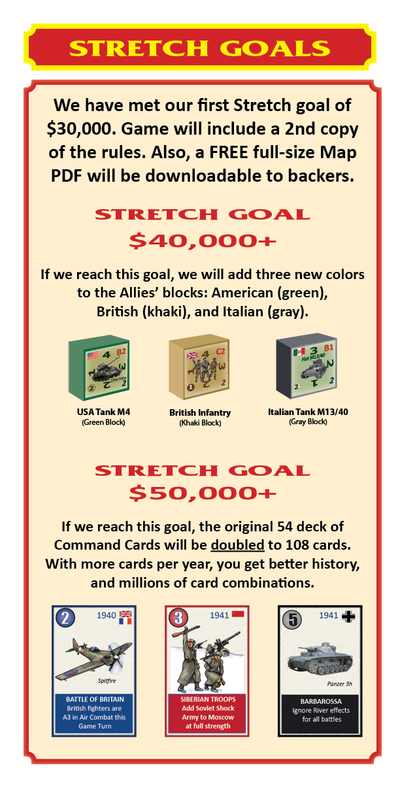 Action cards can lower or raise the attack or defense value of units (by representing bunkers, squad cohesion, artillery, the chaos of battle) or add special bonuses to a beach, for example by placing the famous 101st and 82nd Airborne there. Stragglers on the Allied side and reinforcements on the German side can further fortify a landing zone. A game is played over 5 turns, each turn representing roughly one hour. Each turn, the conditions for the Allied player improve, representing his successful landing and advance on the beaches. After five turns, the number of beaches controlled by the Allied player is counted. The game outcome or victory level depends on the number of beaches in Allied hands. The Allies have to control at least four of the five beaches to achieve the historical outcome; less than four beaches mean a draw or a German victory. Because of the time limit of five turns and the limited number of actions each player can resolve on a beach, one game doesn’t take longer than 30 minutes which makes the game a perfect starter, filler, or closer game on a game meeting when there isn’t much time left for a larger wargame or for “warming up” before moving over to the more complex games. Despite being a small and fast card game, Lightning D-Day is challenging and requires strategical decision-making and planning in advance for both players.